Who's hiding out in the forest? Playing in the leaves and the pine needles? 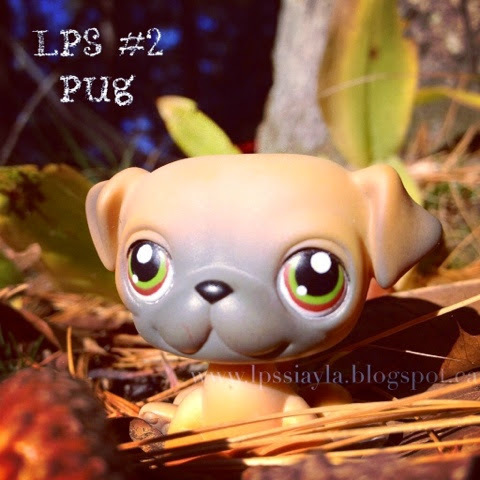 Why it's LPS #2 a sweet little tan pug. He's so happy you've found him. Are you ready to play? (Ours is dated 2004 with a pink magnet).